One of my favorite things about warm summer weather is cooking outside. 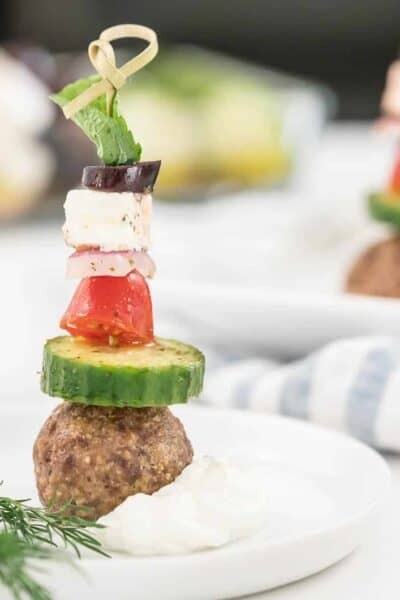 Wether it’s simply a meal from our back porch grill or over a campfire, there is something so magical about getting out of the kitchen, you too? 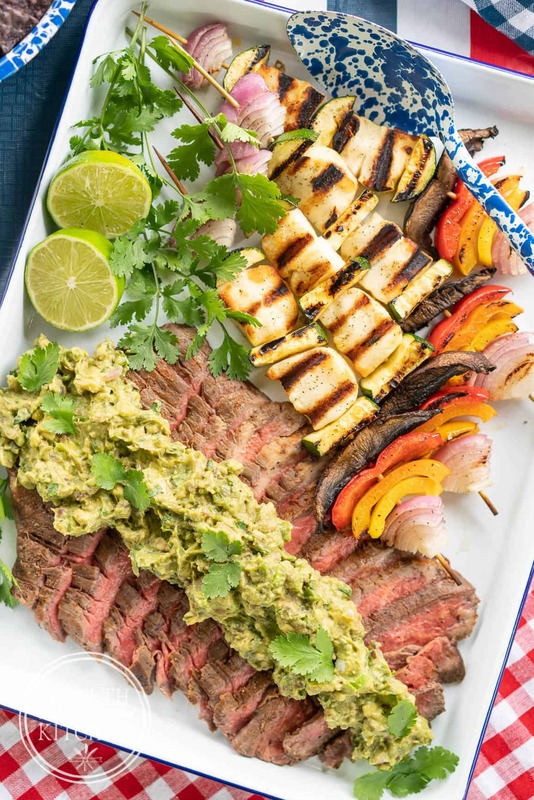 And it can’t get much more easy or delicious than my Grilled Guacamole Flank Steak with Halloumi Kebobs! When I’m in the grilling mood, my favorite store is The Fresh Market. 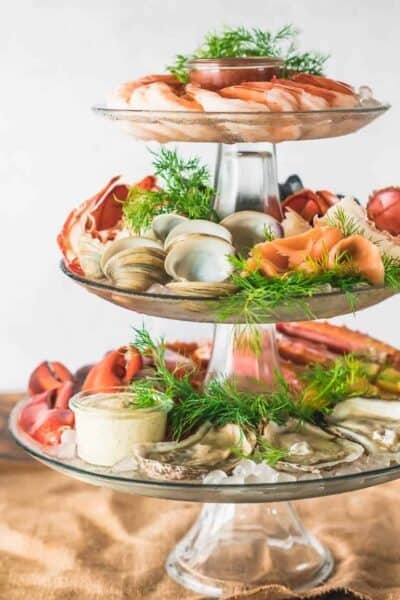 From seasonally fresh produce to exceptional meat and seafood, signature baked goods and carefully curated organics, all the foods you love are waiting for you at The Fresh Market! Click HERE to find you local store. 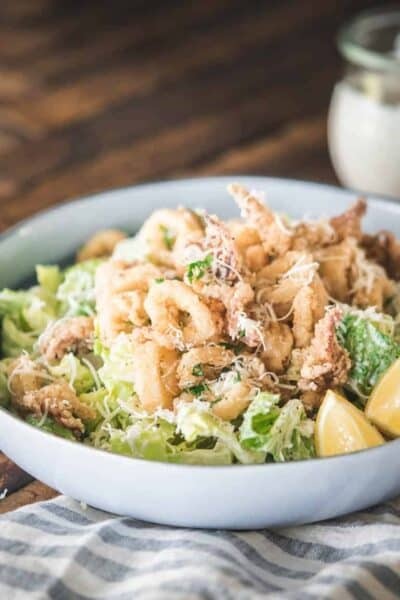 What’s so fabulous about The Fresh Market is that they offer boutique style shopping experience, tailored towards foodies who like the best & freshest foods. 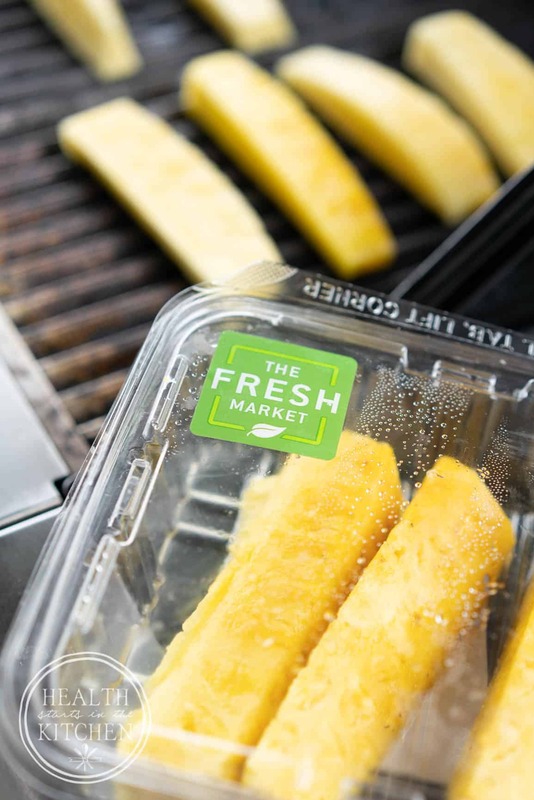 Head over to Facebook and Instagram to keep connected with The Fresh Market, too! 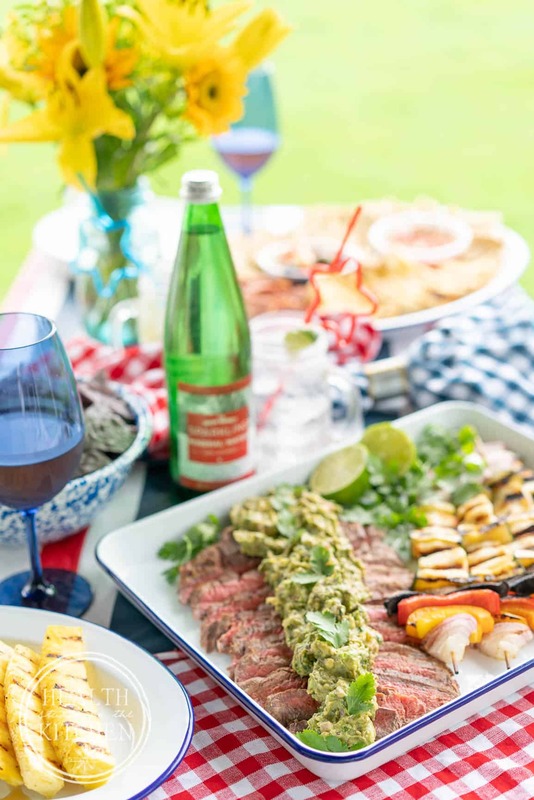 And when I’m there I’m so inspired to create simple, delicious and real-food meals… Like my Grilled Guacamole Flank Steak with Hallumi Kebobs! 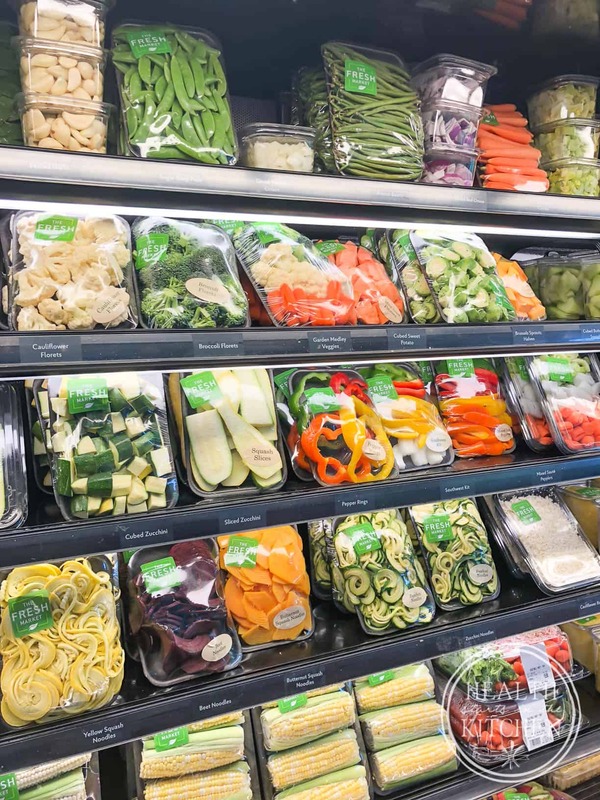 Let’s be real, when you walk into a grocery store which offers REAL FOOD that is this easy and beautiful, it’s almost impossible to chose anything else! … and the flowers. Oh the flowers. 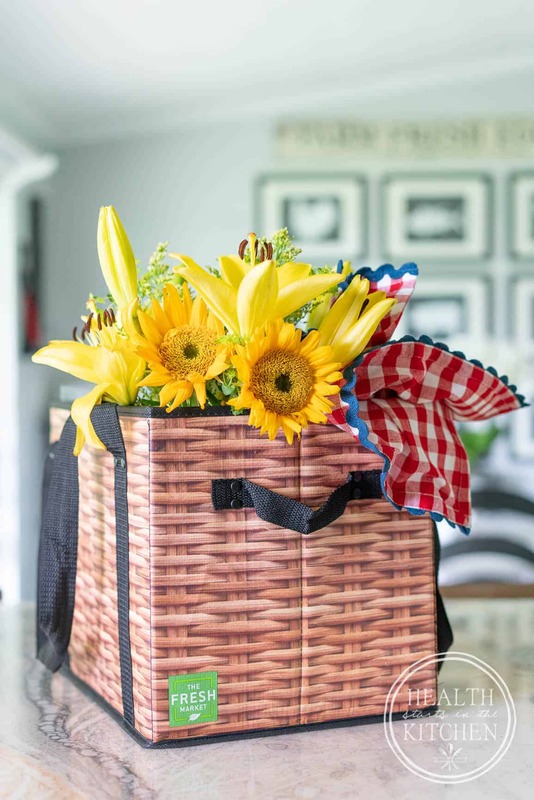 No dinner table is complete without a fresh bouquet of flowers, right?! P.S. this is a little off topic, but that hard side shopping bag I grabbed at The Fresh Market is totally amazing. I’m glad I got 2! I admit that my shopping list gets abandoned when I walk into The Fresh Market. 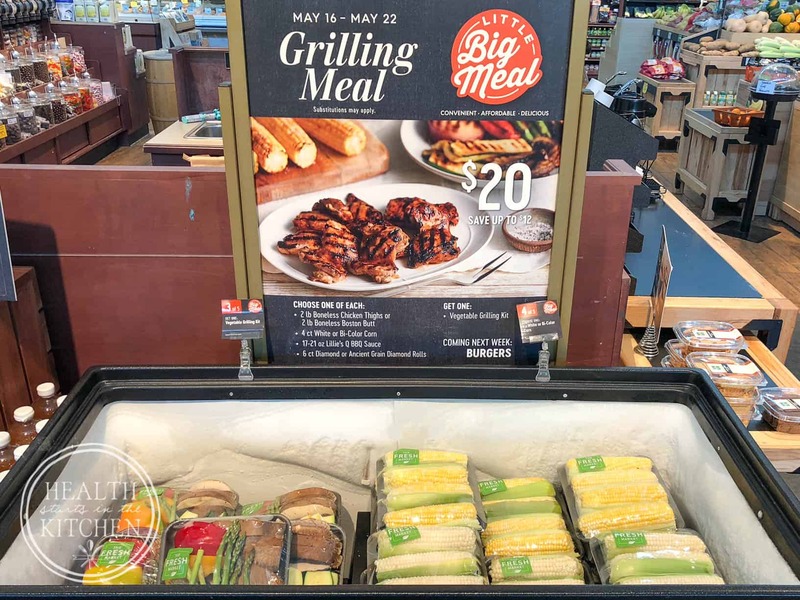 I honestly get so inspired and get a little carried away… My easy grill out meal for the Memorial Day weekend, turned into a buffet! Not that anyone complained… Ray (my hubby) and Caitlyn (our niece) were more than gracious enough to enjoy the awesomeness I impulse-bought while I prepped dinner! 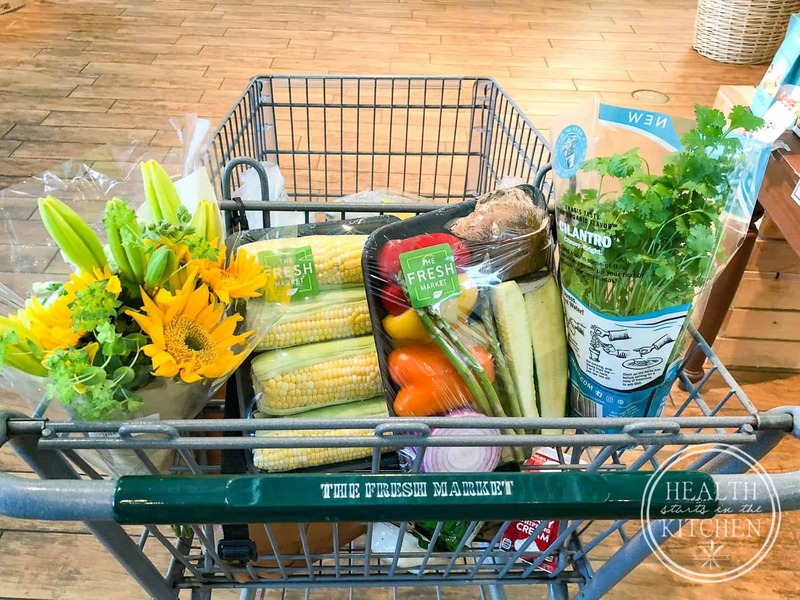 The Fresh Market makes delicious eating so easy! 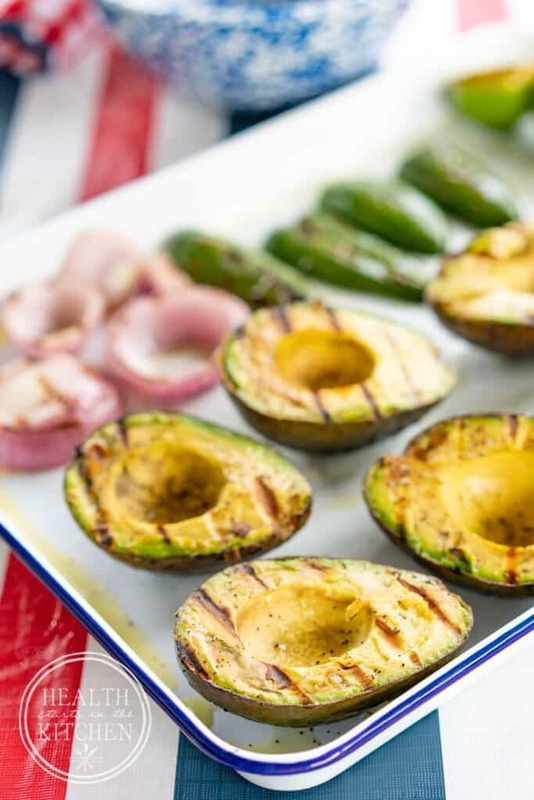 Almost as easy as my Grilled Guacamole…. 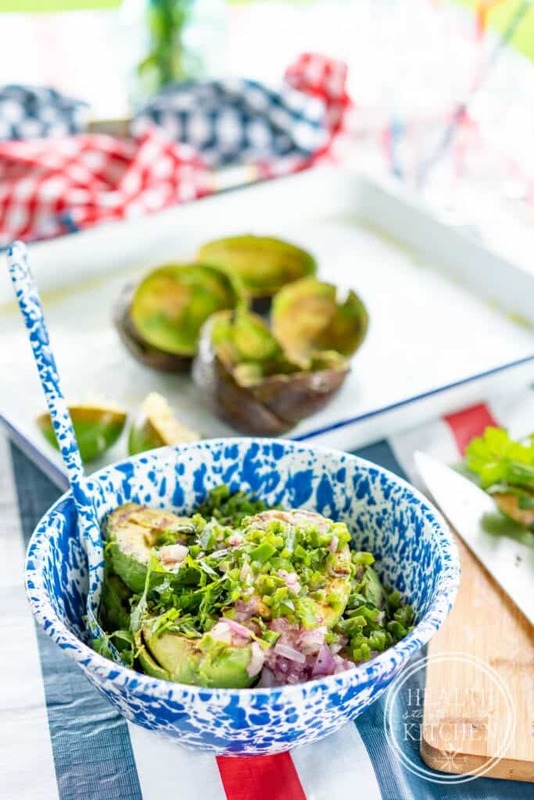 Yep, it’s seriously that easy and so worth the extra step – Just grill up on your guacamole ingredients, even the lime! Add lots of fresh cilantro and season to taste! Keep that Grill HOT, we’re going to keep using it for the entire meal! Have you had Hallumi? It was love at first bite for me. 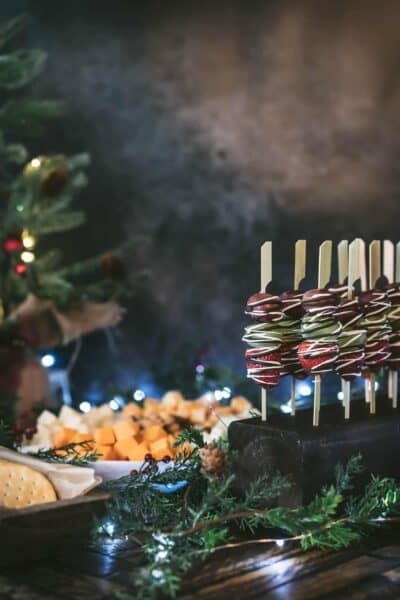 Squeaky cheese that doesn’t melt only browns when heated, which makes it the prefect addition to your tradition vegetable kebobs! Yeah, so I also grabbed some pre-cut pineapple for dessert too. 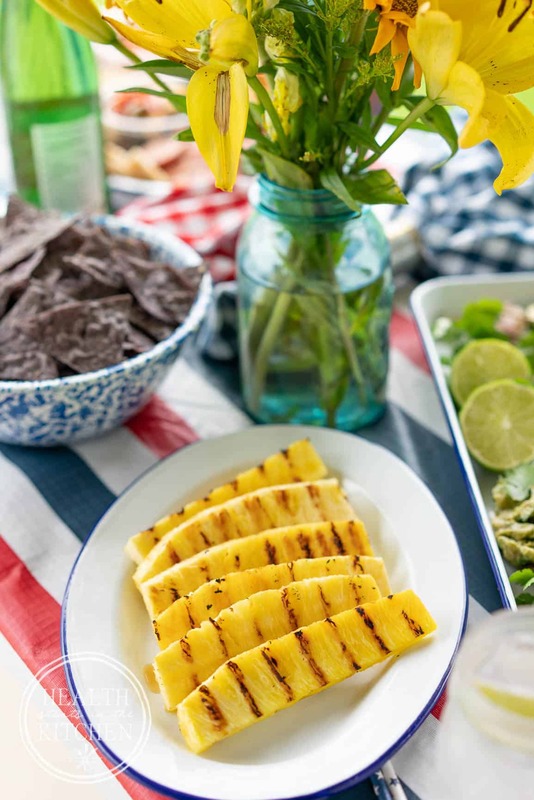 If you haven’t made grilled pineapple you’re missing it’s the prefect summer healthy dessert! (No seasonings or anything extra, just grill pineapple, easy-peasy) I grill up pineapple and keep it in the fridge, it’s even better chilled the next day! And of course I grilled a Flank Steak too.. I needed something to hold all that guacamole deliciousness! Season your flank steak and toss it on the grill, have you noticed that Easy Theme?!? 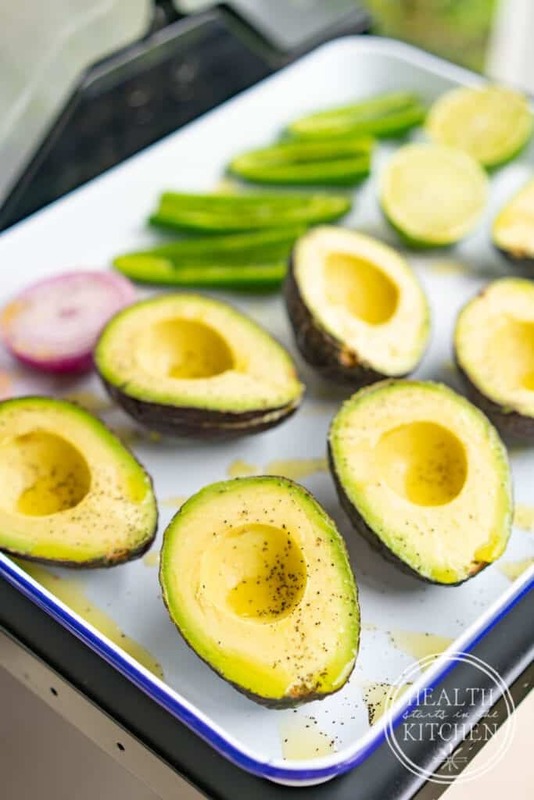 Let it rest while you set the table, then slice it thin and spoon your Grilled Guacamole over top – Isn’t it beautiful? I hate to sound cliche, but…. 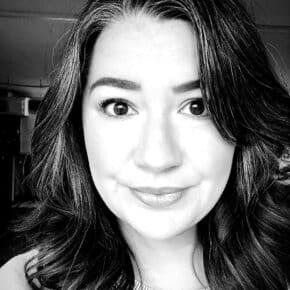 I literally can’t…. Is your mouth watering? Mine is, I’m actually counting down until I enjoy leftover for lunch today! 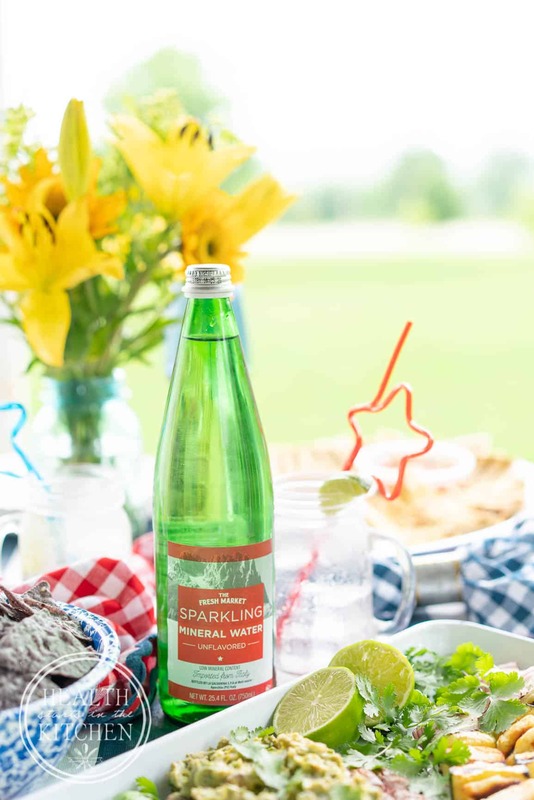 Do me a favor, this summer when your making a delicious meal take the time to celebrate. Tell the family wait for the presentation. Make the meal into a memory! 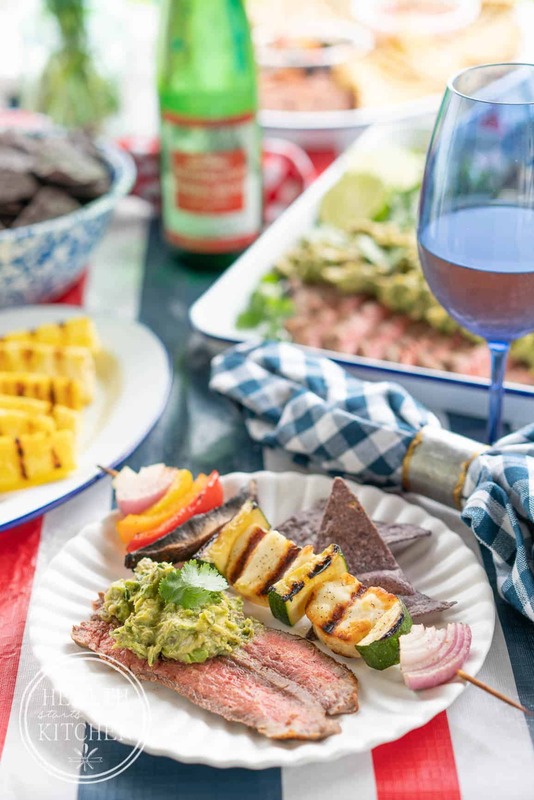 This weekend head to The Fresh Market and grab goodies to make these Grilled Guacamole Flank Steak with Hallumi Kebobs, your whole family will LOVE them, I promise! Looking for more Grilling Inspiration?? 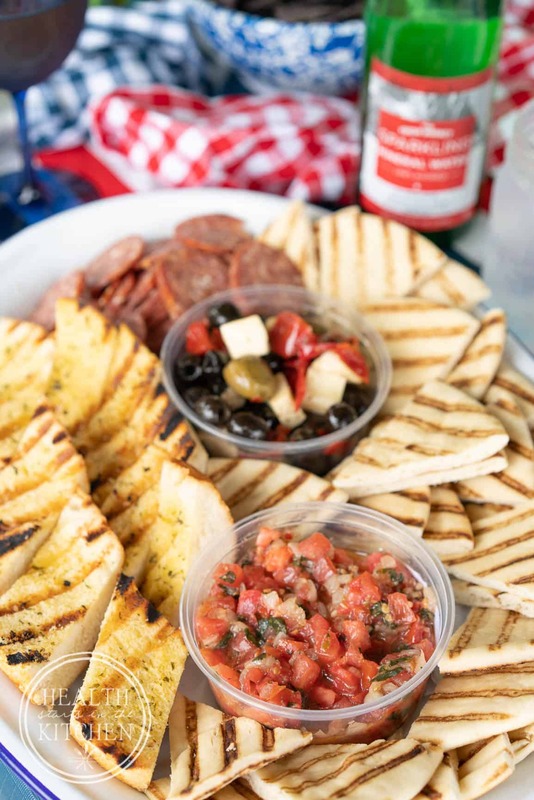 Click here for more grilling ideas! Liberally season your flank steak with sea salt, black pepper, chili powder, onion powder, garlic powder with a squeeze of fresh lime juice and some olive oil. 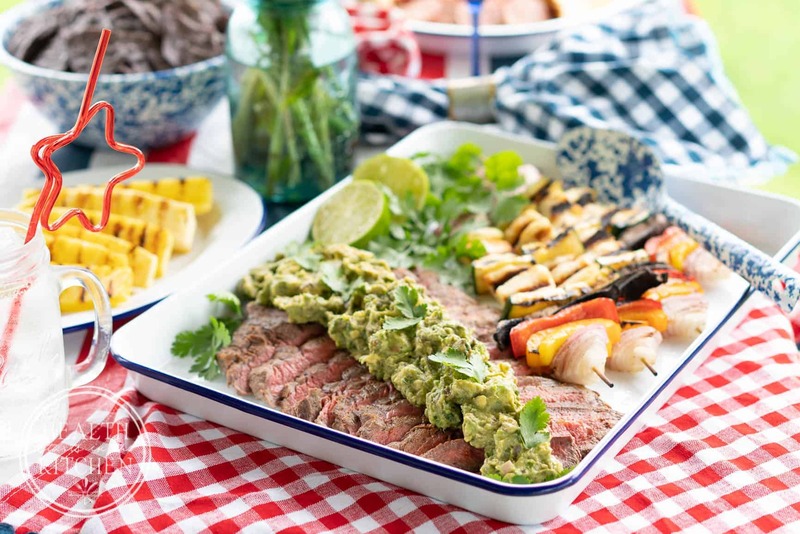 Allow your flank steak to marinate at room temperature while grilling your guacamole ingredients. Drizzle Avocado, Jalapeños, Onion and Lime with olive oil and season with salt and pepper. Place on a hot grill for 2-3 minutes, just to get those pretty grill marks and to lightly cook. Allow veggies to cool enough to handle, then make guacamole as usual. Seasoning to taste with additional sea salt, pepper and as much fresh cilantro as you prefer. For additional spice, add some crushed red pepper flakes. 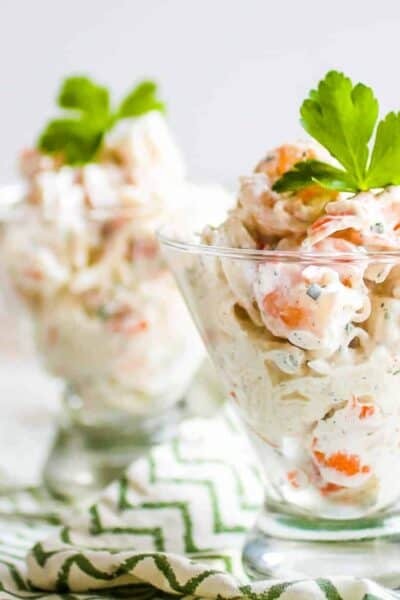 Set aside, can be chilled or served at room temperature. 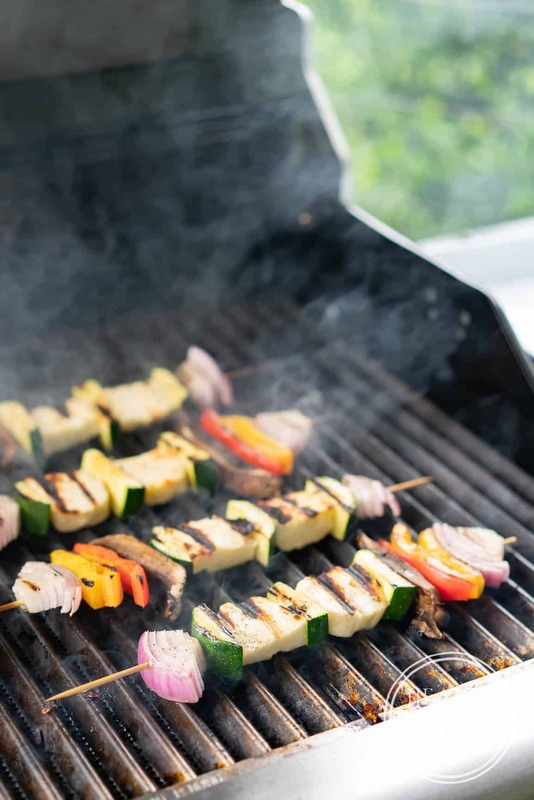 Assemble kebobs, lightly drizzle with olive oil and season with salt and pepper. Grill over high heat, leaving grill marks on the veggies and halloumi but not over cooking. 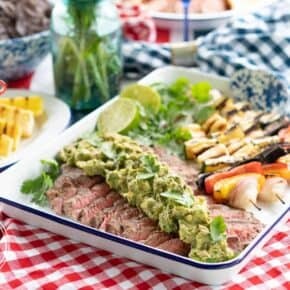 Thinly slice your beautiful flank steak, top with grilled guacamole and serve with halloumi kebobs. Enjoy. I prefer to cook my Flank Steak via Sous Vide before grilling, I simply HATE overcooked meat. Sous Vide helps to ensure your meat is cooked perfectly every time, however it's not required. If you choose to sous vide, perfect medium rare (pictured) is 130 degrees in Sous Vide for 30 minutes then grilling over high heat for 1 minutes per side on a super hot grill. Wow! Everything looks fantastic in the photos. 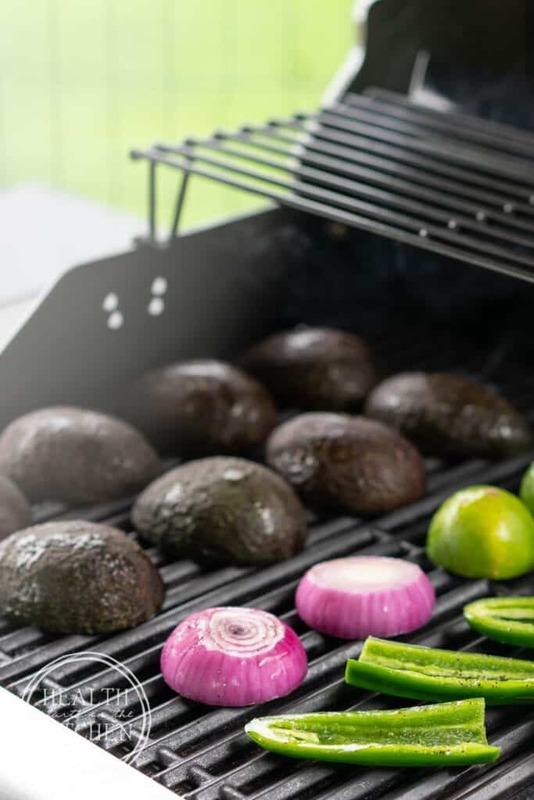 Your idea to grill the veggies before blending them into guacamole is nice. I assume that your mixture has a smoother texture and the flavours of the ingredients get stronger due to light cooking? However, the grilled pineapple is what really impressed me. I have never heard of this before, but I am eager to try it next time a pineapple falls in my hands.